There is no doubt that we humans are awash in a sea of dangerous, hideous chemicals. It's also certain that nobody – NOBODY – has a clue about the long term effects of this chemical bath. So if you're interested in safe skin care, you definitely must consider natural skin products. In fact, our report "Incredibly Dangerous Chemicals You NEVER Want On Your Face", which comes as a bonus report with out natural skin care CDs, will give you a list of horrors to run from as fast as possible. 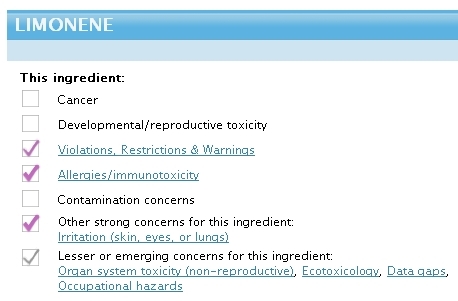 To illustrate how bad it is, let's look at a very famous skin care product – that is definitely NOT organic. 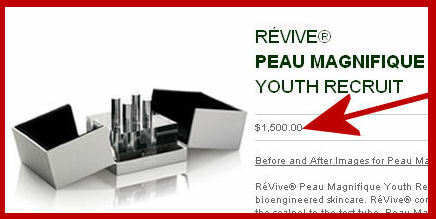 It's Peau Magnifique, one of the most expensive skin care products in the world at $1500 for .03 ounces! Ouch! Now you might think that, for that price, everything you're getting is good for your health, body and skin. Wrong-o, Lone Ranger. Not so at all. Here are ingredients in Peau Magnifique.The really hideous ones are capitalized – note how many there are. Water (Aqua), Glycerin, Methylsilanol Mannuronate, Sodium Carboxymethyl Beta-Glucan, Sodium Hyaluronate, Palmitoyl Oligopeptide, Palmitoyl Tetrapeptide-7, Madecassoside, EGF *, FGF *, Telomerase *, Panthenol, Borago Officinalis Seed Oil, Anthemis Nobilis Flower Extract, Tocopherol, Tocopherol Acetate, Cetyl Palmitate, Citrus Aurantium Dulcis (Orange) Peel Oil, Citral, Citronellol, Limolene, Linelool, Zea Mays (Corn) Starch, Butylene Glycol, PEG-40 Hydrogenated Castor Oil, Hydrolyzed Corn Starch, Hydrolyzed Corn Starch Octenylsuccinate, PEG-33, PEG-8 Dimethicone, Hydroxyethylcellulose, PEG-14, Xanthan Gum, Carbomer, Polysorbate 20, Caprylyl Glycol, Phenoxyethanol, Methylparaben. 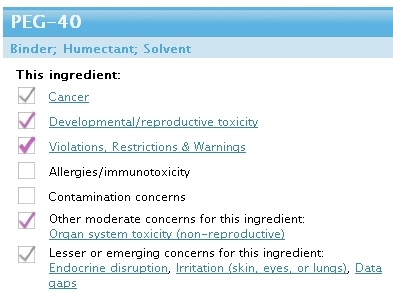 Tocopherol & Tocopheryl Acetate: linked to immunotoxicity or harm to the immune system, a class of health problems that manifest as allergic reactions or an impaired capacity to fight disease and repair damanged tissues in the body; concersns about contamination with Hydroquinone, a horrifyingly dangerous chemical that has been linked to cancer and other serious diseases; there have not been serious studies of this chemical so no one knows how it will react with the human body. Cetyl Palmitate: moderate concerns for irritation of the skin, eyes or lungs; there have not been serious studies of this chemical so no one knows how it will react with the human body. Methylparaben: (e.g. Methyl, Ethyl, Propyl and Butyl Paraben) are used as preservatives to inhibit microbial growth and extend shelf life of products. They are widely used in the cosmetic indus- try, especially in moisturizers. In fact, it's estimated that 13,200 cosmetic and skin care prod- ucts contain parabens and the number is growing astronomically because they're cheap to manufacture. 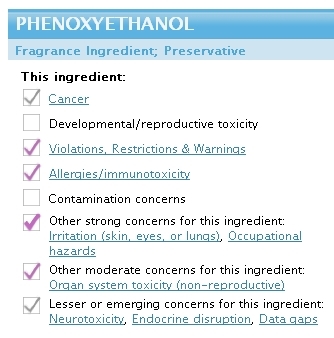 Methyl paraben may degrade releasing methanol, a potentially toxic chemical. Studies implicate their connection with cancer. They have hormone disrupting qualities – mimicking estrogen – and interfere with the body’s endocrine system. According to the Journal of Applied Toxicology, they have been implicated in cancers because they increase estrogenic activity in the body. They have caused many allergic reactions and skin rashes. They are effective preservatives because they inhibit enzyme activity – but the human body desperately needs enzymes. Research has shown that they may affect the future fertility of male babies. According to Professor John Sumpter of Brunel University, England, an expert on estrogenic chemicals in the environment, the use of these preservatives might just "play a role in falling sperm counts and rising breast cancer rates." skin which help keep it soft and moist. PEG products are likely to be contaminated with 1,4-dioxane, a carcinogen and research has clearly revealed that dioxane easily penetrates the skin. The PEGs are rated 8 out of 10 on the danger scale. Here is information on the first one – but they're all alike. Safe skin care doesn't seem to be a high priority for most of us? I'm not sure why not, but I suppose lack of information is the main reason. Whatever the reason, YOU can be aware and careful. So many chemicals are unavoidable – why pile on those that are not? There is one – and ONLY one – way to have safe products: make them yourself! Be in charge of what goes on your face. My wife started making a moisturizer just this year. She says that the initial ingredients cost a bit, but they will make several batches of the stuff. She persuaded me to start using it because I have very dry skin and the only thing that helped was some prescription product. Much to my surprise, this stuff works great. It is a bit greasy at first, but my wife says to tough it out till it settles in. Guess she’s the boss on this one. After I came across this post there were a couple of the compounds you listed caught my attention, specifically limonene and linalool. These two compounds are generically referred to as being part of the terpenoid family and are found in large percentages in many essential oils (limonene in citrus and many conifer based oils; linalool in a variety of other plants and herbs). The concentration of these two compounds in some essential oils are often in the 10 to 40 % range which is often higher than commercial products. Given the multiple uses of essentials oils, it’s important to understand the nature of the substances we are using. Great insight, thanks for sharing! It is amazing how many chemicals can be present in a product or in combination of personal care and skin care products. We put these products on our skin and it gets absorbed into our bodies. You are right that the long term effects are unknown and even scary. I have used natural skin care products for years and my two daughters do as well. Teenagers like to try all kinds of brands mainly based on the marketing and advertising they see. Sometimes they don’t agree on the natural choices that you want them to use. I let them experiment and was happy when they came back asking for mom’s brand. They could feel the difference and want to have great skin. MY! Hideous doesn’t begin to adequately describe this list of noxious nasties. Keep on putting out the truth so others’ mothers, sisters, etc. can learn. For a long time I associated quality in skin care products exclusively with price. As skin care science develops, that has been shown to be an errant position. The answer is found in the ingredients. There is the answer. High cost does not translate into high quality in all cases. There is a plethora of high quality products at affordable prices. That has been an eye opener for me. Thanks!! Great post. I’m still amazed at the number of beauty bloggers who rave about products and pay absolutely no attention to the chemicals in the products. Me, too, Clara. 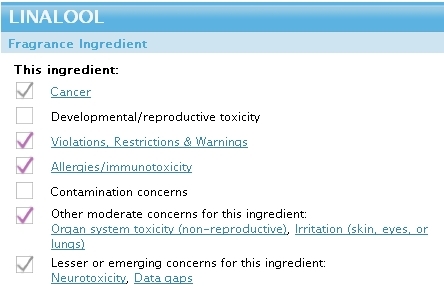 Do they really image that there are no long term consequences for using all this toxic stuff?